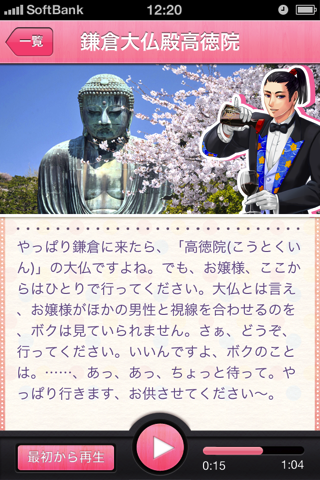 A cool butler will guide you to Kamakura! 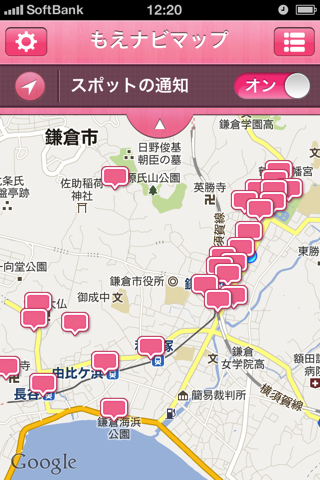 GPS detects location when a user approaches one of about 40 preset spots in Kamakura while the app is activated. And a user can hear the audio sight-seeing information such as history and building information. 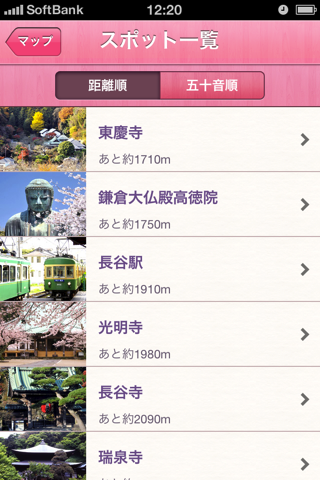 Because many tourists visit Kamakura from overseas, the app is available also in English. 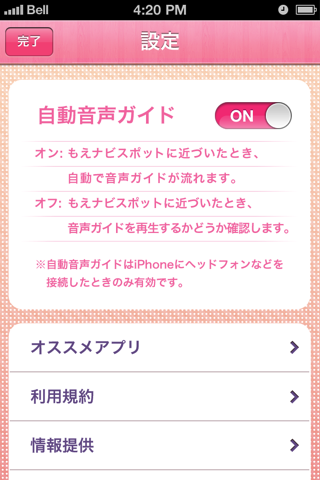 If a language other than Japanese is selected in the iPhone setting, a user can enjoy Moenavi texts and audio in English. 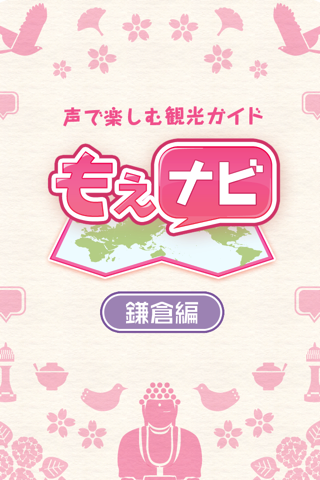 ★“Moenavi" – Kamakura Girl Version with Kaya, a schoolgirl in Kamakura is also available.